The telephone machine of World’s most notorious man known as Adolph Hitler is up for auction at a ridiculous price. 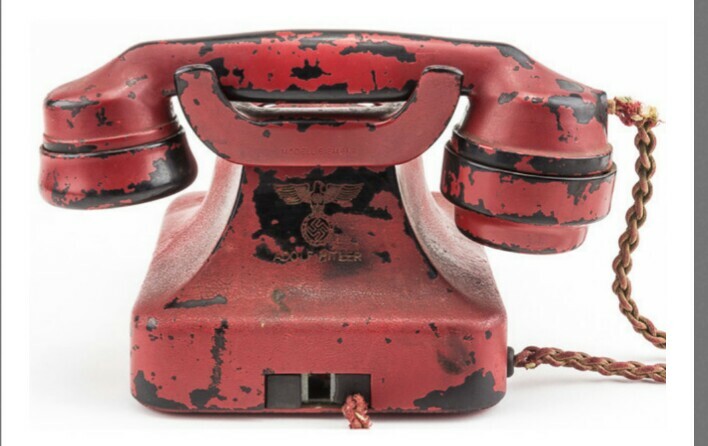 The phone which was named as 'Hitler’s red phone of destruction' was made by Siemens. The rotary handset was reportedly taking from his bunker following the capture of Berlin in 1945. HOW MUCH DO I NEED TO GET IT? This is absolutely hilarious as I can't imagine any Nigerian willing to spend that amount of money just to have an outdated and rusted metal just to make a history. 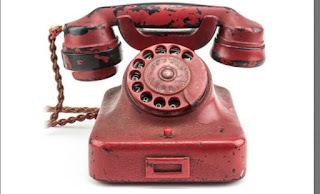 But am optimistic and very sure that a white guy can even bid with a million dollar in order to own this phone as they are synonymous with history making. Hmm is it in excess or is only this?? ?